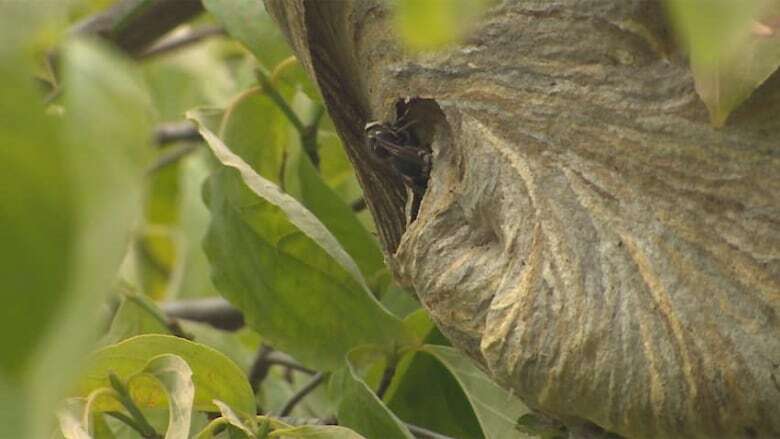 Daniel Koch was looking under a table to locate a wasp nest at his property in Maple Grove, about 60 kilometres north of Fredericton, on Friday when a wasp flew out and stung him on the face. A Maple Grove man died shortly after being stung in the face by a wasp at his home about 60 kilometres north of Fredericton. A 43-year-old New Brunswick man has died after being stung by a wasp — and his family says he had never displayed previous signs of an allergy. His father, Terry Koch, said Daniel collapsed minutes after the sting and died en route to the hospital after Terry administered an EpiPen and performed CPR. The coroner told the family Daniel died from a "severe allergic reaction to a sting," causing his air passages to close. Allergy specialists say it's rare to have a fatal allergic reaction without previous symptoms, but it's not uncommon to develop allergies at any stage of life. There is an effective allergy desensitization treatment for reactions to insect stings, but Donald Stark, an allergist and professor at the University of British Columbia, said there have been recent manufacturing shortages making it difficult for patients to access the treatment.